On this page you will find many useful maps for BSDCan 2011. University of Ottawa - Residence is in the middle of the map, on the left hand side. If you like Google Maps, this map shows just about everything you'll need to know (showing residence, breakfast, coffee places, the lecture locations, the airport bus stop, the pub, and other sundry points of interest). 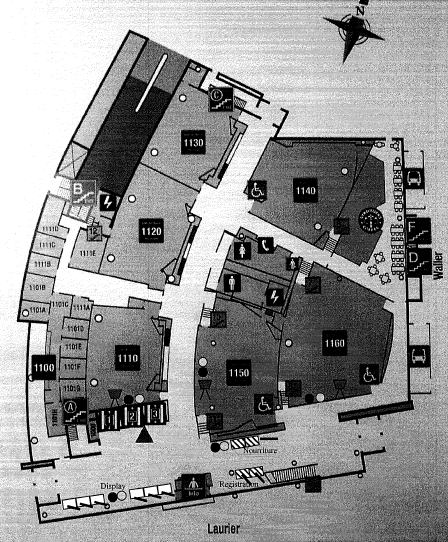 We have a floor plan for the conference building, Desmarais. You will probably enter from the bottom left (south east) corner of the building. If so, registration will be ahead on your left, under the stairs.